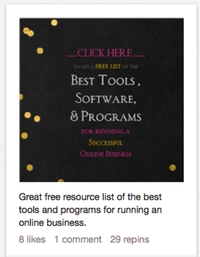 Do you ever wonder what everyone else is doing to get tons of traffic from Pinterest? Are you one of the many who just don’t see what the buzz is all about? If you answered “yes” to either of those questions, I’ve got good and bad news for you. The bad news is you aren’t using Pinterest correctly—or at all! There are crucial strategies that you need to be applying to get results. But the good news is, I can teach you what you need to know. And by the end of this article, you’ll understand what you need to do to start getting more traffic from Pinterest. 1. Create Your Own Original Content to Pin. Did you know that over 80% of pins are repins. [Source: RJMetrics] That means that if you are just repining everyone else’s stuff you’re not going to get anywhere. But if you learn how to create valuable visual content of your own, you have a virtual army of people waiting to circulate your pins and get you tons of exposure. So what is valuable visual data? Anything from videos, to Infographics, even an image of text on a colorful background works. In fact, the simpler the better. Want to see a huge surge in traffic? Give something away in your pin. Have a cool new tool, template or app to share? Promote it in a pin and link to where they can sign-up or go to get it. Even if you’re not the creator, you could write up a great post about the resource and how you are using it so that you can still get people to your blog. People LOVE pins like this. IMPORTANT: Make sure to edit your pin and ADD A LINK after uploading an image to pin from your computer. This is one of the most common mistakes that I see. So many people miss this step and it results in zero traffic. 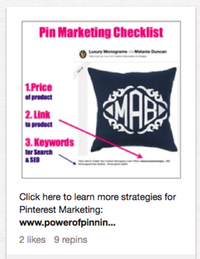 If the image it is not pinned from a website, Pinterest defaults it to a dead link until you add one. 2. 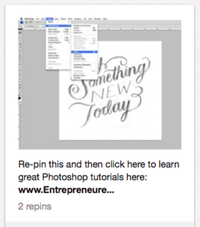 Pin More Tutorials and Teasers. People love to learn. But beyond that, people love to store and share helpful information. Think about what kind information your audience would find valuable and make some pins out of that! You don’t teach them anything in the pin, you just peak their curiosity. What’s great is this strategy works equally well for bloggers, product or service based businesses. 3. Focus on trending topics. Relating our content, products or services to current events is easier than you may think. The department store, Barney’s New York, did so simply by creating a “Valentine’s Day Gift Idea” board in early February filled with gift ideas from their site. Blog posts could be pitched in relation to trends, conditions or general sentiments felt by the community. What is hot in your industry right now? What is everyone talking about? 4. Include “call to actions” in your captions. Time to start including “click here,” “comment below” or “repin this” in every caption. You could even include a CTA in the actual image of your pin. Don’t wait and see if your followers can figure out what you want them to do. Just tell them! SPECIAL TIP: Pair that CTA with a link in your caption and you’ve got referral traffic magic. 5. 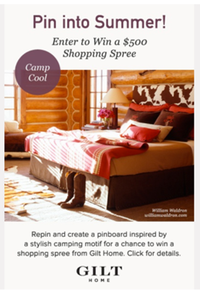 Host a Contest on Pinterest. The travel deal site, Jetsetter, ran a contest on Pinterest and saw a 150% increase in their traffic. [Source: Mashable] Want to know how you can get in on that same kind of action? Host a contest where participants must either pin content from your site, or repin pins you already have on Pinterest that link back to your site. Truth is, there are a lot of great ways to structure contests on Pinterest. You can look at brands like Sony, Bergdorf Goodman or even Land’s End to learn more. What is crucial is that you get other people to share pins that promote your site with as many people as possible. To aid in that pursuit, your pins should feature content such as I have outlined above. The winning participant should be someone who has created the most overall exposure. For example, their board has the most followers, or their pin has the most re-pins. 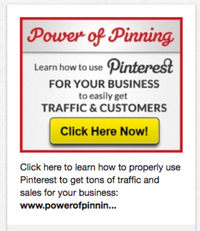 Follow these 5 tips and you are sure to see your traffic from Pinterest increase. Statistics don’t lie, and I’ve given you some simple yet extremely effective ways to create compelling content that will create crazy exposure for your business. Now you know what was missing, and what you need to do to start leveraging Pinterest as a major traffic source for your site. About the author: Melanie Duncan is the founder of the Entrepreneuress Academy and creator of the Power of Pinning program. She teaches thousands of people across the world how to get more traffic and sales with her Pinterest marketing strategies.